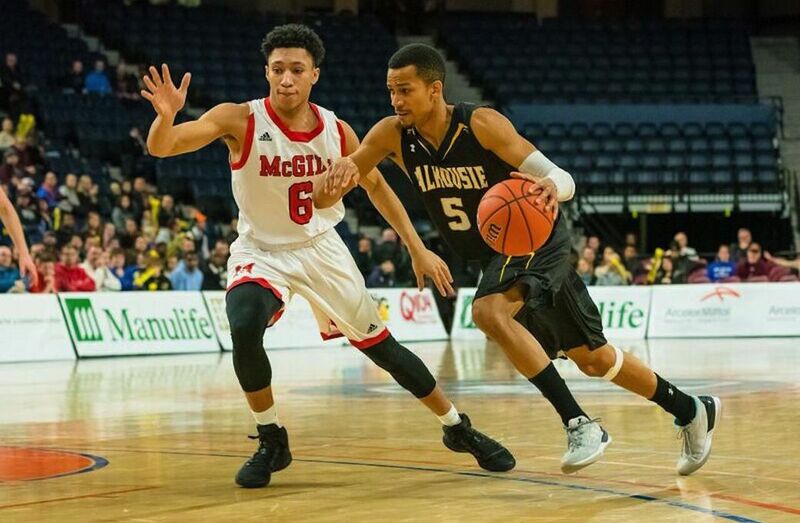 HALIFAX (U SPORTS) – A 27-point fourth quarter helped the Dalhousie Tigers top the McGill Redmen 69-63 in the bronze medal game of the 2017 ArcelorMittal Dofasco U SPORTS Final 8. Trailing by eight entering the final 10 minutes, the Tigers went on a 17-8 run, taking the lead for good with just under three minutes left to play. Dalhousie utilized an aggressive full-court press defence to force seven Redmen turnovers in the fourth quarter. Forward Sven Stammberger led the way on the offensive end with eight points in the quarter and 20 overall. Guard Jenning Leung was McGill’s leading scorer with 17 points. 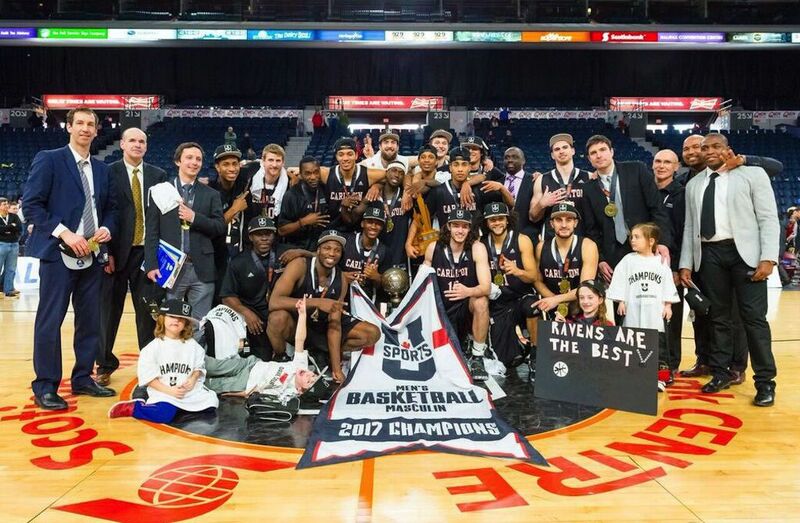 The third-place finish was the best result in men’s basketball history for Dalhousie, who finished fourth at last year’s championship. Despite turning the ball over six times in the first quarter, the Redmen did an effective job on the defensive end, holding the Tigers to just three field goals and 23.1 per cent shooting from the field. Offensively, McGill shot 50 per cent from the perimeter and led 17-13. The Redmen would take compete control in the opening six minutes of the second quarter, going on a 13-2 run. They won the battle on the glass as well, getting 10 combined boards from wing Michael Peterkin and forward Francois Bourque – who led McGill with eight points at the half. The Tigers got a strong surge towards the end of the half from Stammberger, who was able to penetrate into the paint, going on a personal 6-0 run, however the Redmen still led by seven entering half time. Dalhousie would go on a 14-6 run to start the third – taking their first lead since early in the first quarter. Stammberger was the catalyst once more, with six points, including a clutch three-pointer. McGill would battle back with an eight-point swing at the end of the quarter though, and led 50-42 after three. Leung was critical, with five points down the stretch, including a massive trey. Dalhousie utilized their signature hustle defence to frustrate the Redmen in the final quarter and steal the six-point victory, winning the game at the line towards the end. “Yeah, I’m disappointed with today’s outcome, but Dalhousie was a very good opponent today, they did a lot of things we couldn’t handle today,” McGill head coach David DeAveiro said postgame.